I have an interview today with Ed Turner about his new game on Kickstarter, By the Author of Lady Windermere's Fan! It's a really interesting game that can get pretty...wilde! Check out what Ed had to say below. She looks so sassy. Judging you. 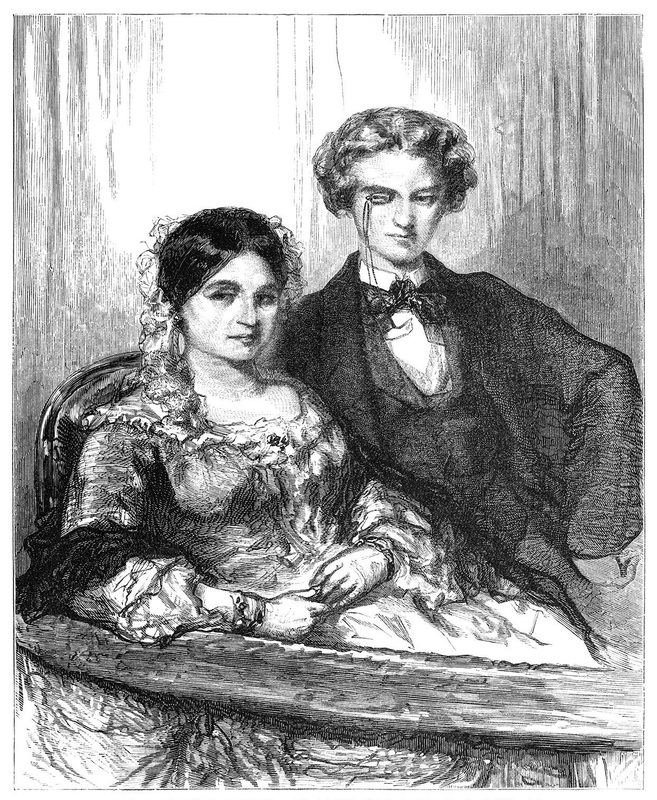 Tell me about By the Author of Lady Windermere's Fan. What excites you about it? By the Author of Lady Windermere’s Fan is a game about putting on an Oscar Wilde play. More specifically, it’s a story game about a group of actors who, through a spectacular level of mismanagement by their producer and director alike, have reached opening night without having held a single rehearsal. Or picking up a script. They don’t even know what they’re supposed to be putting on… all the marquee out front tells them is that it’s a lesser-known play by the master of the Victorian farce, Oscar Wilde. And with that to go on, they’ll just have to wing it. Which means that players are doing two things at once. On the one hand, it’s a story game made for telling narratives in the vein of The Importance of Being Earnest or An Ideal Husband: self-important people who tell big lies about petty things, and then fall over themselves trying to keep their deception from being discovered. Everyone looks foolish, everyone embarrasses themselves, but in the end everyone gets a happy ending whether they deserve it or not, because that’s how these things go. But on the other hand, and this is the part of it that I’m the most excited about, it’s very much a game about putting on a live performance. Windermere is inspired by my experiences in school and community theater; it’s a game about being thrust on stage, underprepared, and doing your best to keep things moving by any means necessary. If you’re on-stage, you’re in character, and you’re responsible for keeping up the pace. As games go, it’s kind of exhausting, because you don’t really get time to think once an act starts. You need to keep the chaos in control. When you make mistakes, and you will make mistakes, you have to run with them. But that also makes it exhilarating! It’s frenetic, and unpredictable, and even though the stakes are low it still feels very rewarding to survive to the final curtain. Whether the play you put on ends up being a really admirable Wilde pastiche or just a complete trainwreck, you still overcame all odds and put on a dang show. You can take a bow, because you’ve earned it. That’s the moment that I was really trying to capture with this game. That is what I’m most excited about. I have a lot of interest in learning of interactivity in games. During play, are all players interacting at once? Are there different levels of involvement? Once the game starts, everyone is interacting. There are a couple different levels of involvement, but players will be shifting between them over the course of an act. Players might be onstage or offstage, for instance, and each has its own limits and responsibilities. Most of your time playing will be onstage, when you have to be in character and move the plot along. If you’re offstage, you have some more breathing room… you don’t have to react as quickly, and can watch the action without participating it. You can also do off-stage specific things like calling out sound effects or changing costume (which allows you to come back onstage as an NPC). Players will switch between being on and offstage often, and just like in real theater, even when you’re not onstage you are still part of the play. The other variable in players’ levels of involvement is the spotlight. At any given moment, one player’s character is the Spotlight Character, which just means that they are currently the focus of the action. Specifically, that’s when characters get confronted about the lies they have been telling, and respond by telling a bigger and harder-to-defend lie. When the spotlight is on you, you’re stuck onstage, and can’t leave until you’ve dug a bigger hole for yourself. But once you’ve done so, you pass the spotlight on to another player, and now THEY become the focus of the action. Everyone takes their turn in the spotlight. What materials are part of the game? What is tactile, and what is supposed to be all in the minds of players? For the most part, it’s little index cards. You are limited in the number of props you have access to, so before the play starts the players brainstorm a bunch of useful items and write each down on a card. Once the play starts, these become a tactile element: if you want your character to be holding an item, you need to be holding up the appropriate card. That way, you can’t just make up items, and if there’s an object you want to use, you have to track where it actually is. Costumes work similarly; you all come up with costumes for NPCs during setup, and while you’re playing you change costumes by physically taking that NPC’s card and plopping it over your own character sheet. There’s also a spotlight token; this is just some visible object to indicate which player’s character is the focus for the moment. 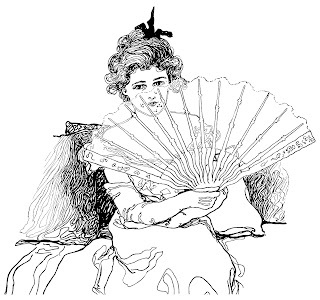 I usually use a hand fan. When you as the spotlight character have told your lie, you pass the token to the player you want to see take the spotlight next, and the action seamlessly shifts to being about them. Finally, there are audience favor tokens; beads or coins or similar small objects, used to indicate how much the audience likes you. Players start with three tokens, and there’s a pile in easy reach. When you break character on stage, you toss one of your tokens in the pile. When you think another player said something especially funny, you take a token from the pile and give it to that player. Both the spotlight and audience favor tokens are using tactile interaction to communicate, without breaking the action of the play. Where did you pull inspiration for the development and structure of play? As far as development goes, this started as an entry for the Game Chef design competition back in 2014. The theme of the year was “There is no book,” and one of the optional ingredients was “wild.” A little willful misspelling later, and the idea of performing an Oscar Wilde play when you didn’t have the script was born. By the Author of Lady Windermere’s Fan owes a lot to story games like Fiasco and Kingdom. Games in which you set up a scene, then dive into the action, letting characters bounce off one another however they see fit without a lot of rules or guidance. Windermere pushes that same structure a little farther; instead of short scenes frequently punctuated by breaks to control the overall flow of the story, there are huge and endurance-testing acts, making it easy for players to lose control of the overall flow of the story. Beyond that, obviously Wilde’s plays were an inspiration, especially The Importance of Being Earnest, but I also got inspiration from other sources, like Noises Off, a comedy about putting on a play that you aren’t prepared to perform, and even Frasier, a show that really codified the structure of a farce. Was everyone in this era judgy? Sweet monocle tho. Do you have any controls in place for the game if a player needs to pause or they want to back up and reconsider something that was introduced? How much content control do the players have when other players act? On the one hand, when it comes to the safety and comfort of the players, I take that seriously. I outline a simple “safety valve” mechanism, and am explicit that groups who have another they prefer (X-card, Lines and Veils, whatever) can and should be using it. It’s important to me than having all the players be able to feel secure that they are playing in a safe space. But when it comes to more minor matters of how the plot is developing, there you’re a bit out of luck. A lot of the tension in the game comes out of having to roll with unexpected developments that come both from the other players and from yourself; what’s said stays said, even if you didn’t quite mean to say it. What you do have are intermissions; between each act, all the players get the chance to stop, and breathe, and talk about where the play’s going. Think of it as an opportunity for course-correction; you can choose to drop a plot thread, or change the trajectory your character is on, or even express concerns about where you think another character’s story is headed. Finally, what do you want people to feel at the end of play? What memories do you want them to carry on, and what have you seen players who have experienced the game so far take forth? At the end of the play, I want everyone to be tired but proud. Usually, they are; there’s a definite sense of accomplishment that comes from surviving the play in most of the games I’ve been a part of. Mostly, I want them to be smiling; ultimately, the players are putting on a comedy, so the memories I want them to take with them are the funny moments. The really good one-liners, the delightful twists of the plot, and even the collapses, when for whatever reason the play totally fell apart. Like a Wilde play, the overall plot is pretty incidental… it’s a structure on which you can hang beautiful moments. Thanks so much to Ed for the interview! 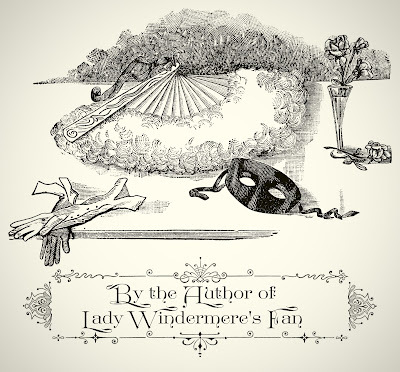 I hope you all will check out By the Author of Lady Windermere's Fan on Kickstarter today! Make sure to share the interview with anyone you think might be interested - don't let them miss out!